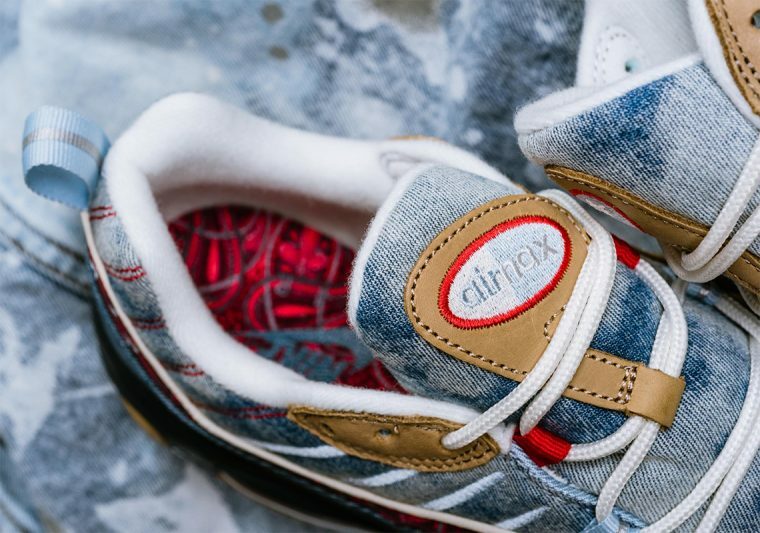 Ahead of Air Max day in March, Nike has been ramping up its colourways and experimenting with textiles on many of our favourite Air Max models. The Nike Air Max 97 has been given a leopard makeover, a perforated neoprene upper and futuristic colours have transformed the Air Max Deluxe, while the Air VaporMax Plus is drawing inspo from 80s synthwave to give us a retro feels. 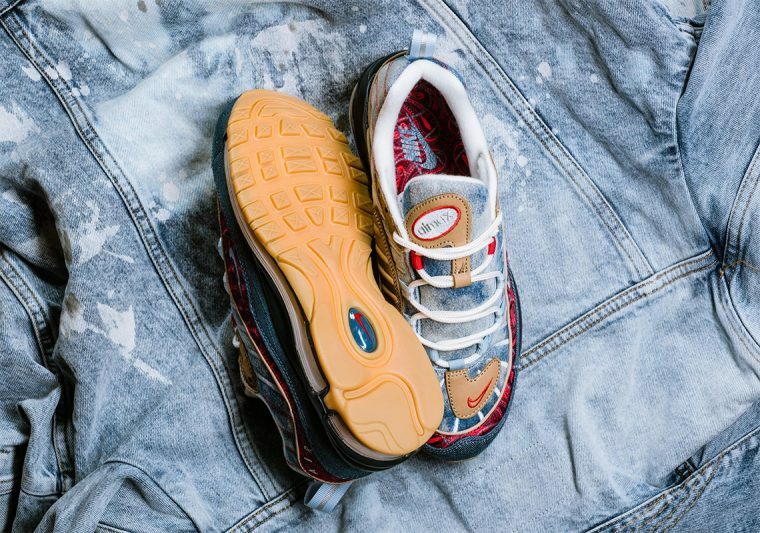 This time around, the next silhouette to be updated is the Nike Air Max 98 Wild West. We’ve already seen this colourway applied to the Air Max 95, and 97, and it seems that Nike liked it so much that it applied it to another shoe. Taking inspiration from Americana, the silhouette reminds us of cowboys, deserts, and wild horses, with the mixture of textures and patterns breaks fashion rules and brings us something really special – a stand out for sure. 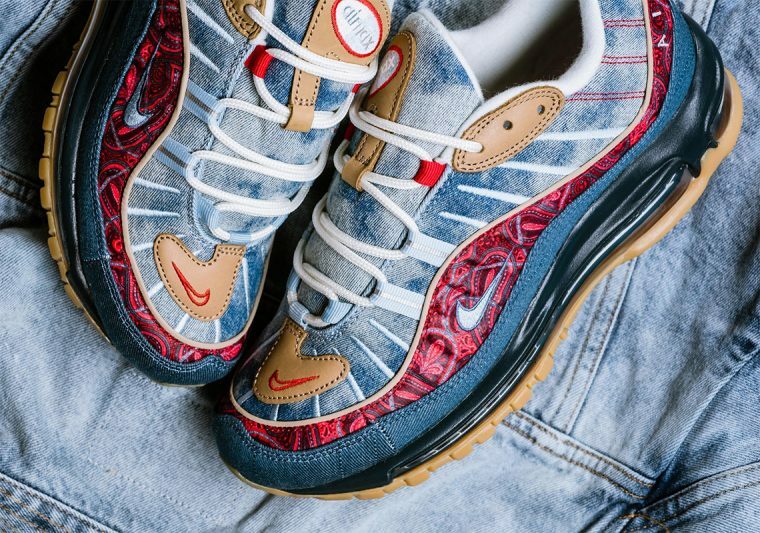 Formed from 3 main layers, the AM98’s upper is made up of faded, bleached denim, red bandana paisley printed fabric, and a darker indigo denim below. Each sitting in contrast with each other, the upper of this shoe is definitely something different from your average sneaker – and we love it! 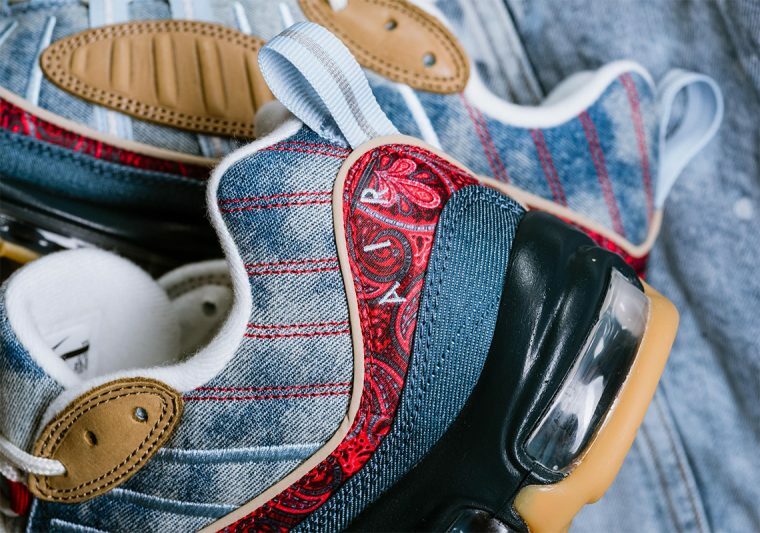 The top denim layer also shows contrasting stripes and red stitching, while a pale blue mini Swoosh is embroidered on top of the red paisley in the middle layer. We also have complementing brown leather embroidery on the eyelets, toe vamp, and Air Max logo on the tongue. Below foot, the full length Air Max sole unit gives bounce and cushioning with every step – something we’ve come to expect from virtually all Air Max silhouettes. The gum outsole contrasts nicely with the translucent sole and ties in with the light brown leather accents. 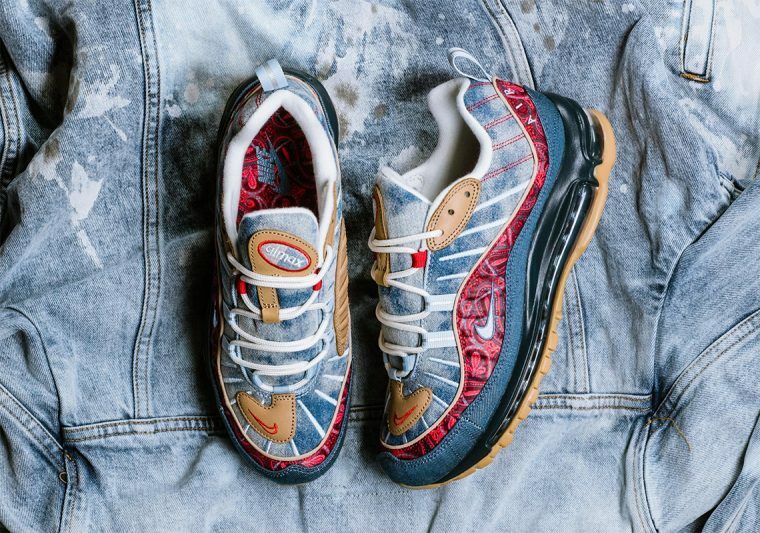 What are your thoughts on these 98s? Are the contrasting patterns and textures too much – or are you loving the experimental path Nike is going down? Drop a comment below and keep it locked to The Sole Womens for when these are released on the 1st February. We’ll put you in the direction of where you can cop some.